As the number of data breaches increases, businesses remain unprepared. Before you are done reading this article, there will have been more than 2,500 digital records stolen. This is according to a new report by Gemalto, which was released to show just how unprepared UK's businesses are for cyber risks. 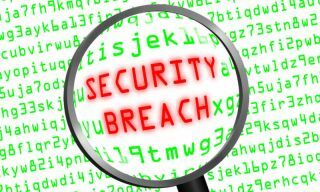 Gemalto says last year (2016), 1.37 billion data records have been compromised. That basically means 3,776,738 records every day, 157,364 every hour, 2,623 every minute, or 44 data records every second. To make things even worse, Gemalto claims the amount of compromised data almost doubled (86 per cent) since 2015. The US is a 'clear leader' when it comes to the number of data breaches occurring every year (1,348), with the UK being second. That being said, the UK is a distant second (108). Another issue with data breaches is that not all of them get reported to the public, something GDPR is aiming to change. “The fact that the number of records stolen last year has increased despite a fall in the number of actual breaches highlights how hackers are becoming more efficient in how they retrieve and obtain critical data. With the upcoming introduction of GDPR set to make the reporting of breaches mandatory, these results should be a wakeup call to UK businesses to get their houses in order before the regulation kicks in and they are forced to reveal incidents that have occurred,” commented Joe Pindar, Director of Product Strategy, CTO at Gemalto.